Hosts were criticised for making a racist gesture. TWO TV hosts have been suspended after making racist gestures while discussing the World Cup. James Tahhan and Janice Bencosme - who work for American Spanish-language network Telemundo - were stood down for their inappropriate conduct following South Korea's 2-0 win over Germany on Thursday morning (AEST). The loss sensationally knocked reigning champions Germany out of the World Cup in the group stage for the first time since 1938 and sparked wild scenes of celebrations on the streets of Russia. Mexico supporters thought their campaign was over when their side lost 3-0 to Sweden in its final game, but South Korea's stunning upset ensured it finished second to progress to the knockout stages. 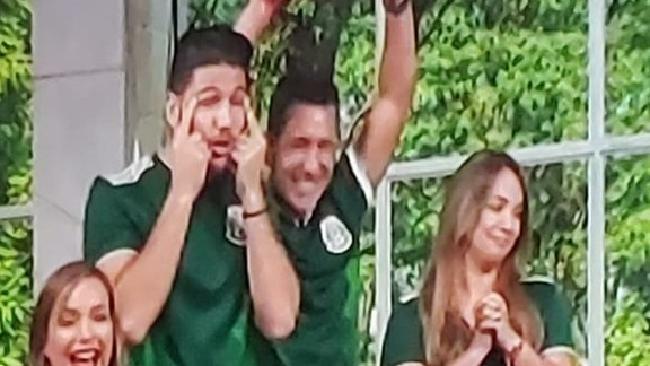 After the game, the hosts of Telemundo's morning show Un Nuevo Dia (A New Day) joined in the celebrating while wearing Mexico jerseys before Tahhan and Bencosme were caught on camera making racist gestures as other members of the crew laughed along. One of the hosts made a gesture with his eyes. Both were suspended indefinitely. "We are extremely disappointed with our morning show contributors James Tahhan's and Janice Bencosme's gestures referring to the South Korean national soccer team," Telemundo said in a statement. 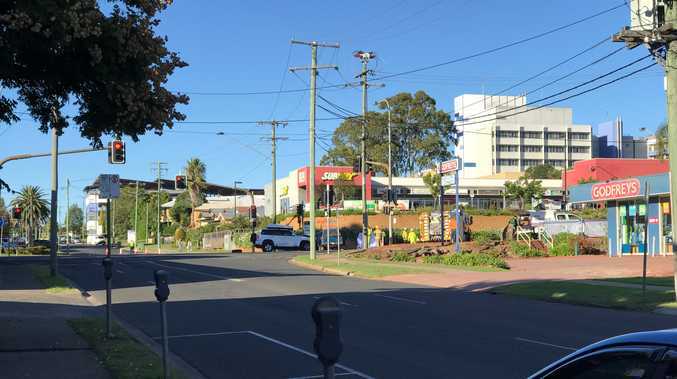 "Our company takes this type of inappropriate behaviour very seriously as it is contrary to our values and standards. "As a result, both James Tahhan and Janice Bencosme have been placed on an indefinite suspension." Earlier in the tournament Argentine football icon Diego Maradona was accused of making a racist gesture at South Korean fans by pulling at his eyes. A cultural misunderstanding also saw Australian fans accused of racism in Russia during the Socceroos' final group game against Peru. Several Peru news outlets reported Australian fans acted with racist intent when they heckled Luis Advincula every time he touched the ball in the Socceroos' 2-0 loss. While many Peru commentators believe the heckling was motivated by racist views - there have since been reports from Peru that the Australians were only booing Advincula because he had earlier attempted to simulate a foul after contact from a Socceroos player. Vision of the winger for Mexican club Lobos BUAP flopping on the ground was broadcast around the world - but heckling a player for simulation is not as common in Peru as it is in Australia. That apparent misunderstanding led many Peruvian newspapers to conclude that the Aussie fans were abusing the 28-year-old with racist intent.